Girly-Girl Partea’s provides Princess Party planning services to help make your daughter’s birthday SPECTACULAR. We handle every aspect of your party. You invite the guests and we’ll do the rest. As a mobile party planner, we bring everything we need to transform your space into a magical party fit for any princess. Our princess party planning services provide full decor options including chair covers, sashes, tablecloths, centerpieces and tablescape decor. We bring the plates, cups, napkins and little details to really set your party apart. We also provide hosted activities to keep your guests engaged while you sit back and enjoy the party too! We have so many themes to choose from and can create a customized party package for any princess character your child loves most. Host a magical Cinderella princess party with silver pumpkins and touches of blue and pale pink. Plan a Frozen themed birthday party with our icy Snow Sisters. Or what about the Best Birthday Ever with a Rapunzel princess party. 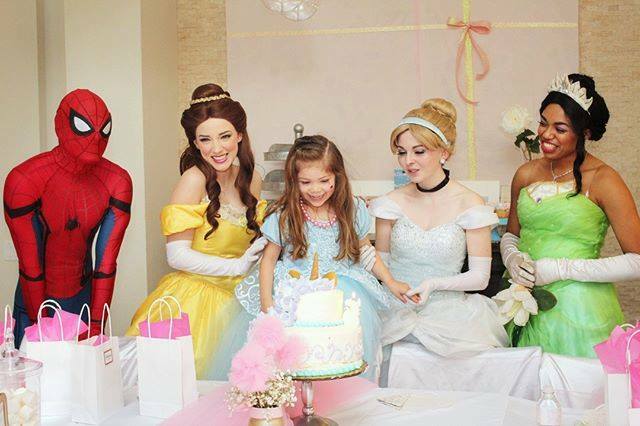 Regardless of which princess if your child’s favorite, trust us to plan your princess party and make it a celebration she will remember for years to come.